milky_candy_sugar wrote: Thanks!! Do you think that i'll ever get a chance to become a car designer? Your dad is French, go to Renault. Then you can apply for a visa designing the new Ladas. If they looked like that I might buy one. Nice... really in your face. My creation, I call it, AGH-LOL (Avtomat Gewehr Heavy-Laughing out Loud). It shoots 30 mm grenades and has a back up 40 mm grenade launcher along with SVD Iron sights and a Holographic sight all jumbled with a x10 telescopic sight. It is revolutionary. Nice work Ironsightsniper, but have you considered replacing the under barrel grenade launcher with something like a close in defence weapon to protect the operator from close range threats? I think off the top of my head if I had a grenade launcher like that, that something like an MP5K attached under the front stock would be more useful for close in defence. It could be made detachable so you could shoulder the grenade launcher in confined spaces perhaps and remount it for more steady shooting at targets out to 50m or so in the open. At longer ranges of course you would use the grenade launcher. The AGC-LOL (Avtomat Gewehr Close-Laughing Out Loud), a revolving Triple-Barrel Light Machine Gun, firing an advanced high velocity 9x19 mm Armor-Piercing Parabellum round, that features a Fin-Stabilized Discarding Sabot penetrator, made out of environmentally friendly Tungsten Carbide. It is designed for Close Quarter Battle, and is relatively short (1.2 meter) for quick turns whilst room-clearing. With individual barrels firing at close to 900 RPM, it's combined rate of fire is 2700 rounds per minute! Each Box magazine is derived from the Barret M82's 10 round magazines, and can hold up to 90 rounds of 9 mm ammunition. Very powerful stuff. With a proven reliable engine such a fighter could be developed to fit in the Gripen or smaller class of light fighter. Add a large number of pylons and weapon points like conformal positions for R-77s and R-73s plus room for external fuel tanks and heavier air to ground weapons and keep the price to around 20-25 million each and I would think you would have an excellent light fighter for export and for gap filling. GarryB wrote: With a proven reliable engine such a fighter could be developed to fit in the Gripen or smaller class of light fighter. It always appeared too aerodynamically cluttered to me... too many flight control surfaces. Horizontal tail surfaces and canards and vertical tail surfaces... too much. 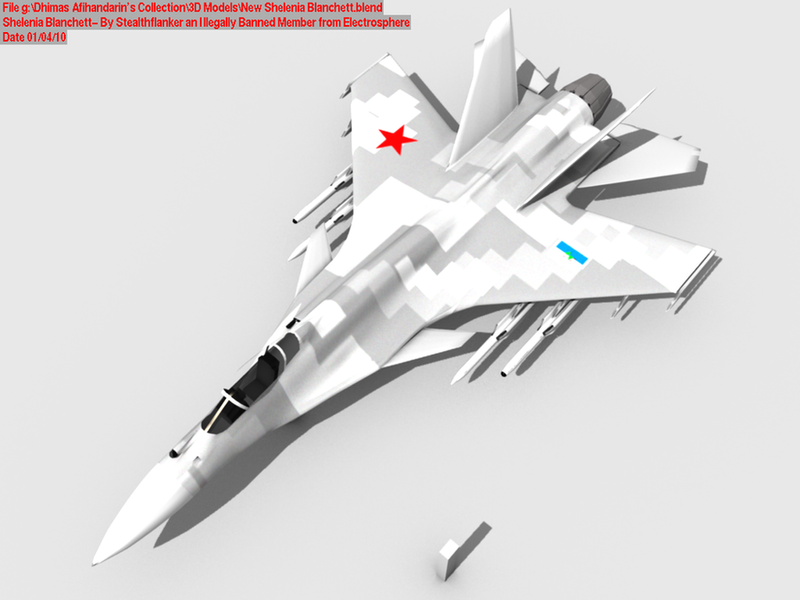 It looks like an Su-27UB that stopped suddenly in the side view. I would say the best engine would be the Al-41 for the Russians as it would have commonality with the Su-35 and T-50, but I want a small sub 10 ton aircraft empty dry weight and the Al-41 is too powerful for such a small aircraft (the weight of the engine would be too high and reduce payload/fuel load which will greatly limit range and most of the time the aircraft will have to carry external fuel tanks which are draggy, not good for RCS, and take up the limited number of available pylons). I guess in the weight range basically a composite Yak-130 with a single late model RD-33 engine, a single seat and a larger wing with high subsonic flight performance would do the trick as long as you fitted it with a decent little radar set. good point ..the only thing that killed Russian Ye-8 was its unreliable engines . specification related stuff however well according to my calculation.. using RAND's DAPCA 1986 (with some adjustments for current US Dollars) .. Shelenia Itevira above would cost around U$ 19.000.000 per copy . The armament layout is similar as Indian MiG-21 "Bison".. as well as RADAR's, the Kopyo.. however i think fitting Pharaon-M would be much better options. Well for S-55 related.. well i have one however it is more expensive (over U$ 41.000.000) and much larger (MiG-29 class size with Flanker Radome) with more powerful engine and larger AESA RADAR. Now here is a problem... four wing pylons and that big flat empty belly area with nothing on it? The standard launch rail for the R-77 has an arm based catapult, so there are few problems with separation even from an internal launch bay let alone a pylon or conformal body launch position. If I was arming this aircraft I would keep the four wing pylons for fuel tanks and air to ground weapons and I would put short range AAMs like R-73 on the wingtips and put 6... yes 6 conformal BVR missile points on the body in two rows of three. The R-77 was designed for internal carriage and in that role its rear grid fins are designed to fold forward for carriage and flip out on launch. Conformal belly positions with the grid fins folded would maximise the air to air capability of this aircraft while freeing up wing points for other purposes... which in the air to air role could be more AAMs, jammer pods, or for the air patrol mission fuel tanks to extend range. 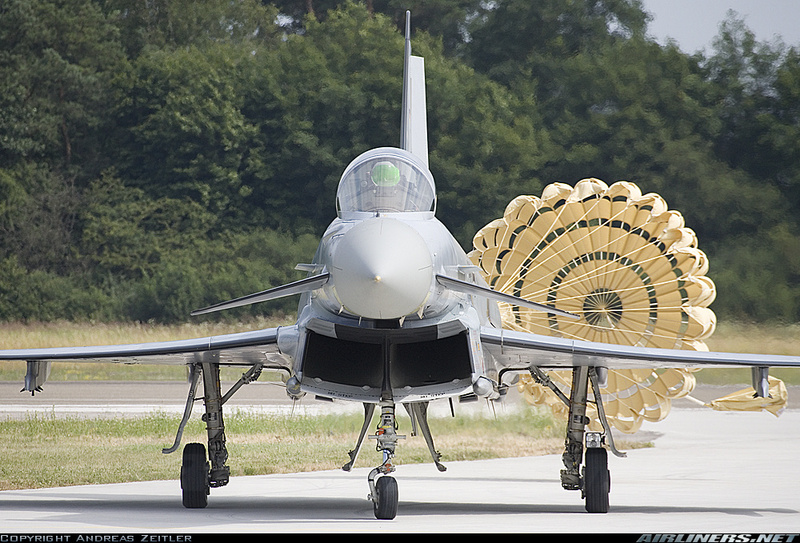 For the air to ground role it could carry up to 500kg laser or sat guided bombs and fuel. An extra centreline position could be used for a large fuel tank as well and a wing root mounted 30mm cannon would round out the armament. 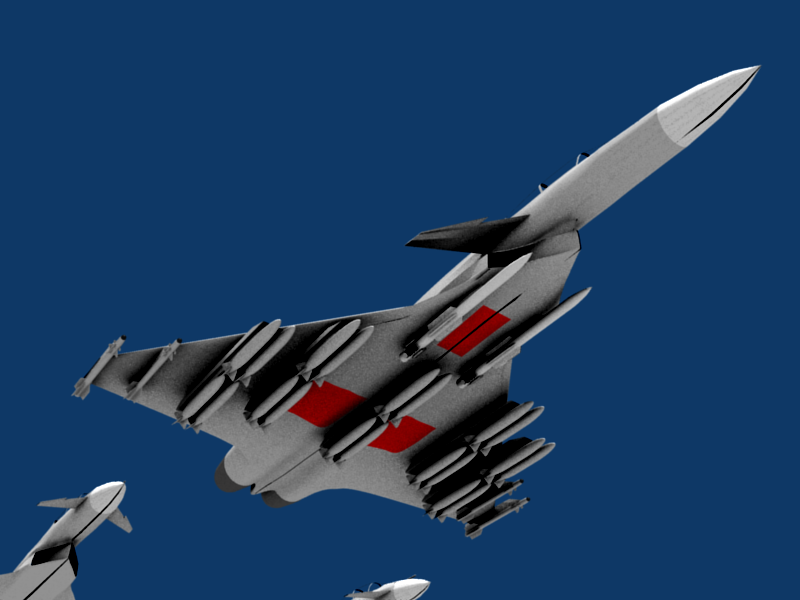 Here is a very rough image of the belly mounted missiles... note I simply removed the rear grid control surfaces but in practice they would actually be folded forward and would deploy on launch... this is what they were designed to do for internal carriage. 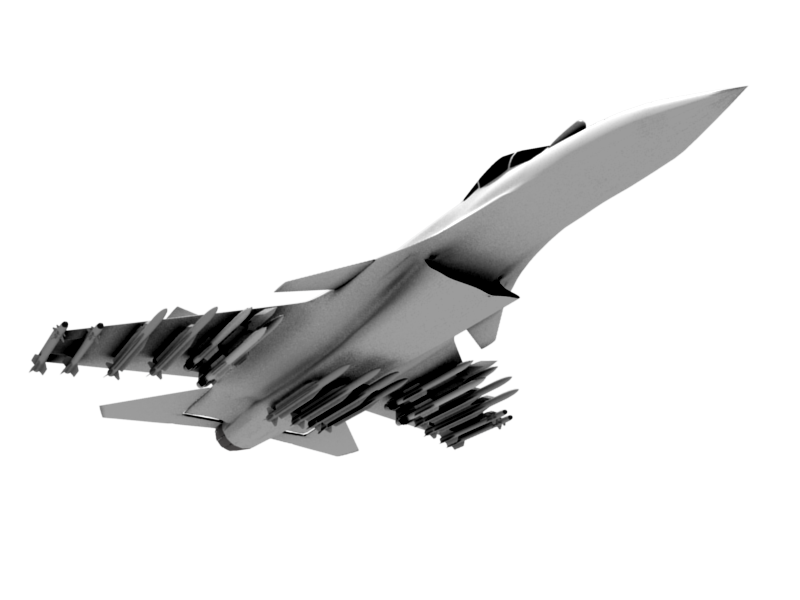 In addition to these belly mounted weapons I would add wing tip positions either for R-73s or wing tip ESM pods. GarryB wrote: It always appeared too aerodynamically cluttered to me... too many flight control surfaces. 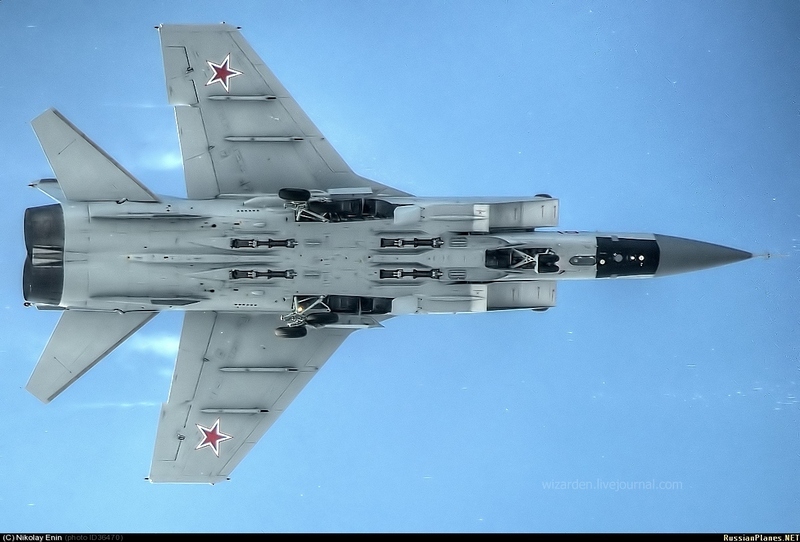 I must say as per your requirement of a light attack plane with high subsonic flight the plane must be highly agile ~~manoeuvrable this only can be provided by cluttered control surfaces [besides this is the legacy of Russian designers]. For light attack planes one not need any heavy payloads strictly speaking light aircrafts requirement must be met with at most three underwing hardpoints each. What I mean is there are a lot of control surfaces there that are a bit redundant... for example the canards raise and lower the nose, but the horizontal tail surfaces do the same thing they just to it from the engine end. They add weight, drag, an rcs and complication for something you could probably do with one or the other... or with thrust vectoring perhaps with neither. I disagree... I think the days of dodging missiles is over and sensor tracking rates and high terminal g performance AAMs makes the required manoeuvre capability beyond what a human can tolerate. I think wing tip jammers and good SA would be rather more useful that 12g manoeuvre capability. Perhaps these aircraft could be used by the new air and space defence forces with minimal on board radar performance but huge payload capacity in AAMs that hundreds of these aircraft carry in gap areas where there are no SAMs to perform anti cruise missile roles. I don't think these aircraft need heavy payload capacity, but I do think the ability to carry a decent air to air payload along with an air to ground payload and because of its small size external fuel tanks will normally be needed for air to ground missions or long air to air patrols. The five pylon set up on the Mig-21 was OK because it was a relatively short range fast interceptor that would normally carry 4 AAMs and sometimes 1 centreline tank or nothing on the centreline. 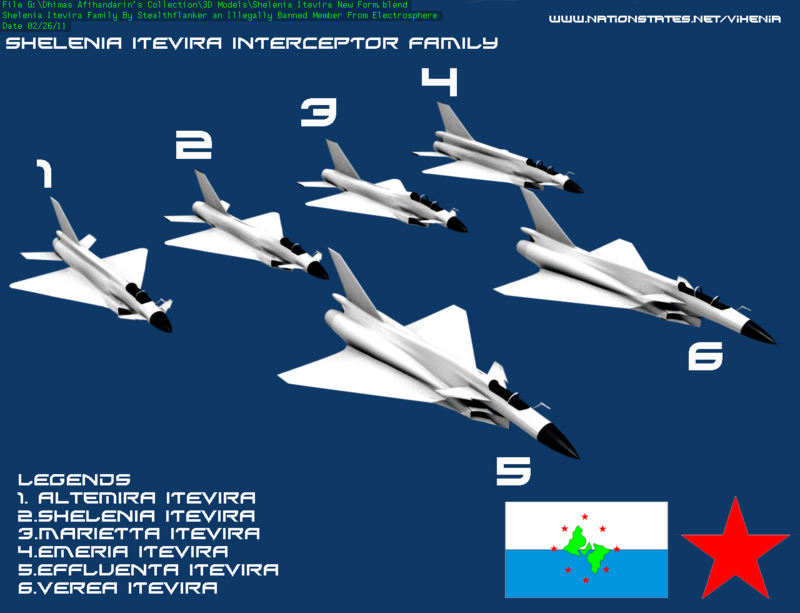 The most realistic options i seen for Altemira Itevira is that Conformal fuel tank or weapons bay .. and addition of extra pair of pylons near the wing root , the centerline ..well although its "empty" it's already occupied internally with fuel tanks and hydraulics required for landing gears and for intake Ramps . for typical Cruise missile however , Her RADAR will not be sufficient, since it's optimized to fight aircrafts and bombers , she will need to be accompanied by AEW or Interceptors with larger RADARS . I appreciate what you are saying, but I am talking about AAMs, which in general are the lightest ordinance most aircraft carry routinely. 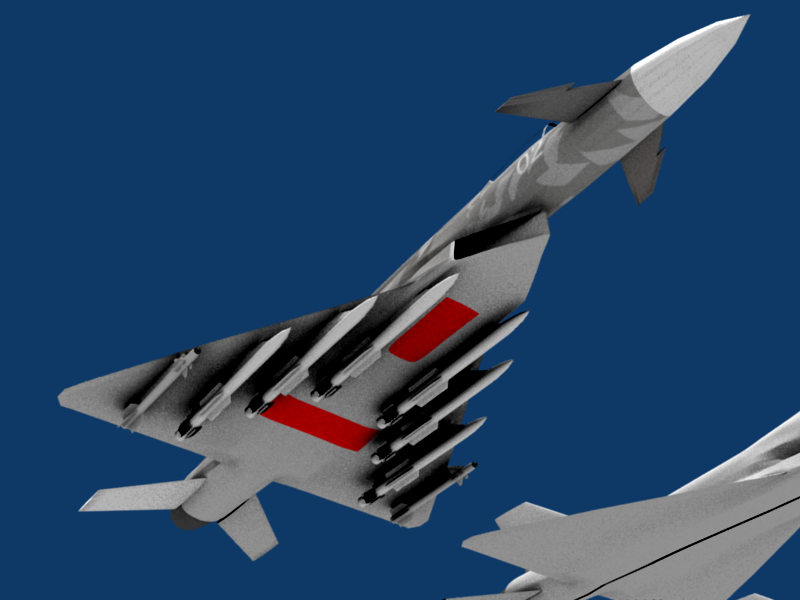 6 Belly mounted R-77s would weigh 175kgs x 6 which is just over 1 ton so the performance penalty will be minimal... especially because of the low drag configuration, the missiles themselves are only 3.6m long with a body diameter of 20cm and a wing span of 70cm, but that is the gridded fins extended. Equally with AGAT making new smaller ARH seekers it is all together possible to have R-73s with ARH seekers fitted for a mini R-77. 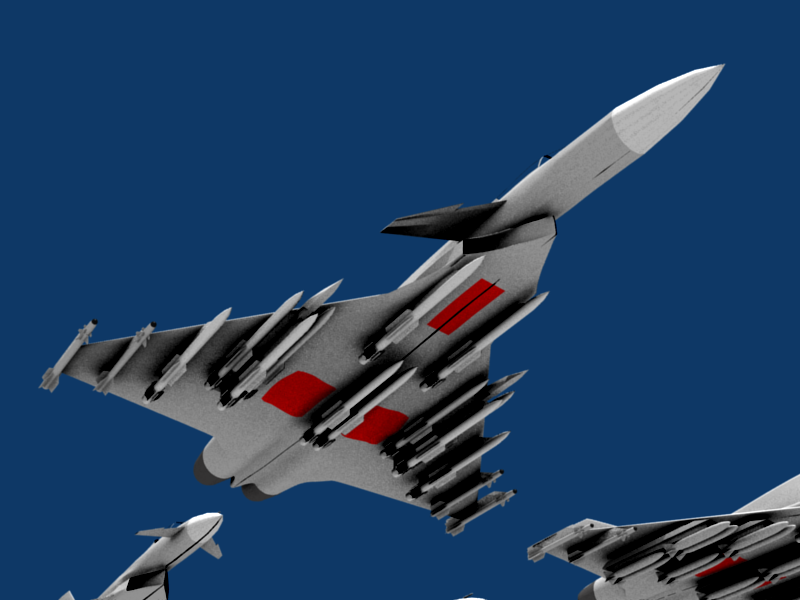 If 6 is too ambitious then two rows of two for four belly mounted missiles should be easier and would still leave 2 wing pylons and a wing tip position. The point I am trying to make is that just because it is a light fighter, don't limit its flexibility by skimping on the weapon options. A light fighter that has 4 R-77s and 2 R-73s with 4 wing pylons free for external fuel tanks, jamming pods, satellite guided bombs of modest size, or TV or laser guided weapons is much more flexible than a warmed over Mig-21 with 5 pylons in total, which means 4 AAMs and a fuel tank or 4 bombs and a fuel tank for medium range missions and the same payload minus the fuel tank for short range missions. To be truely multirole you need the capacity to carry things you will need for a variety of roles. With wing tip pylons you can either carry short range AAMs or jammer pods, and both would be rather useful depending upon your opponent. This means in a real war it can have wing tip jammer pods and wing mounted AAMs and fuel tanks to extend range and fight persistence. In a COIN conflict you can drop the jammers because the enemy wont have radar or radar guided weapons and carry extra AAMs if they have limited air power like Georgia or nothing. For COIN fighting you could put a Damocles pod on one wingtip and and some sort of towed decoy system or flare dispensor thing on the other to balance it. This will give the pod an excellent view and leave four wing pylons for guided weapons or even marking weapons... or unguided rocket pods with rockets fitted with the Ugroza guided weapon package using the Damocles pod to find targets and pass data to HQ while for smaller targets like a convoy of trucks a single pod of 20 x 80mm rockets with HE frag warheads and laser guidance should deal with the problem. Four 20 round pods gives combat persistance and two 20 shot 80mm pods and two 5 shot 122mm rocket pods gives flexibility for harder targets where the 122mm rockets with 30-50kg warheads including concrete piercing should do the job. be accompanied by AEW or Interceptors with larger RADARS . The purpose of my suggestions is not to make some mini super fighter like some 5 year old who puts missiles on the wingtips and the tips of the horizontal tail surfaces and the tips of the canards as well. The purpose is that most of the time this aircraft will operate with 4-6 AAMs... conformally positioned on the belly of the aircraft and the wing tips and that the wing pylons remain empty to reduce drag. For longer patrols external fuel tanks will be carried, and for ground targets the wings will carry the air to ground ordinance while remaining armed for the swing role to cover other aircraft after the air to ground weapons are delivered. Max payload will not be anything like the F-16 at 7 tons, and normal load will be 1-2 tons and for longer missions will be in the 3-4 ton range at most with most of the extra weight being fuel in external fuel tanks. For air to ground missions with 4 AAMs say 700kgs, two 500kg guided bombs or missiles (like the new Kh-38 series missiles) and two 1,000 litre fuel tanks... about 4 tons tops. One thing I observe is why this plane has angled air-intakes? all have lateral air-intakes to cause compressibility & limit the work load upon the compressors also it reduces speed of intake air for combustion. The intakes generally match the shape of the fuselage they are attached to. The angle of the intakes is not important to the engines as engine front fans are round so it doesn't matter which way the intakes are rotated. As you can see above the angled air intake in bomber edition are fitted quiet aft the fuselage because air reaching at that point already had loss great deal of kinetic energy. Also its a bomber [with a speed of not more than .6M] & not any jet fighter plane. not more than .6M] & not any jet fighter plane. 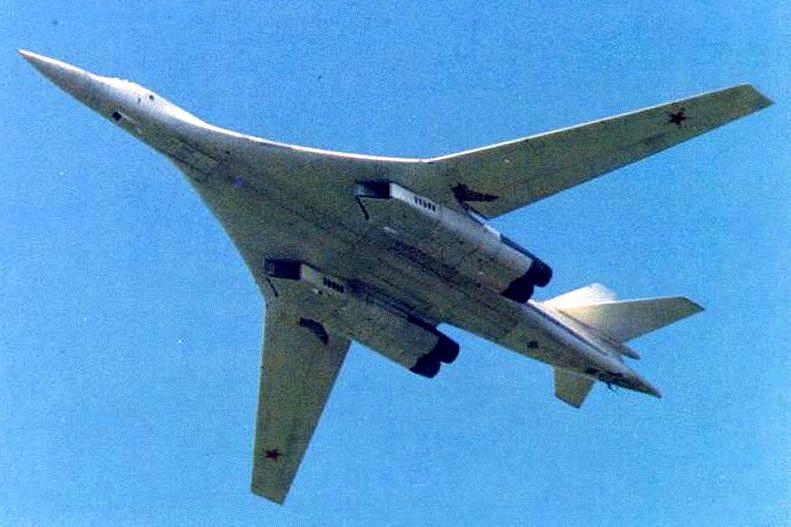 What a shame you picked that bomber as an example because that bomber... the Tu-160 can fly at mach 2.2 and as such is actually faster than either the F-16 or F-35. Notice just back from the intakes there are five slits or openings in the intake side? These are suction relief doors that let more air in on takeoff when the aircraft is operating at high thrust at low speed to improve performance and at high speed when the air is coming in too fast they also allow air to spill out to reduce the velocity of the air as it reaches the front turbine blade... (Turbojets and turbofans choke on super sonic air). Testudo armor I drew in class and redrew when I got home. It's a combination of the armor designs of the T-72/80, M1A2 Abrams, and the Leopard 2A5. The LOS thickness is 450 mm, but since the majority of it is angled at 45 degrees, it's real thickness is 300 mm. I have yet to come up with or get someone else to come up with a RHAe for this armor The total weight of this array (if arranged on the T-72's glacis) is about 1.8 tonnes. The cost I got is very inaccurate as I used Stock prices for the various materials, but the array costs at least $100,000 USD. My preliminary Protection estimates puts each 50 mm Enhanced Spaced NERA at at least 500 mm RHAe v.s. HEAT. The SiC/DU and HHS sandwich should only add to that rating. I understand , well however the fighter might be placed in the "second line" to stop any leakers passed through larger Interceptors . Targeting pod may help, however i'm still doubt that it will work in any weather situation. well if you read the specs.. the payload is 3000 Kg and MTOW is 10 tons. And i'm don't really think that Conformal weapon bay would offer clearance and capacity as conventional pylons, mechanisms required to open the bay and to "hoist up" the missile should take into account too, more missile inside the bay would means more mechanisms is required , thus the bay size would scale up accordingly .. and weight and wetted area increase are inevitable . Verea Itevira the Strike Version . line" to stop any leakers passed through larger Interceptors . Actually I was thinking of the targetting pod for ground targets. For air to air targets it would of course use its nose mounted radar, plus off platform sensors like ground radar, AWACS, and of course it can be directed to those leakers by the larger aircraft. I would expect that in cooperation with larger fighters the small cheap fighters would be deployed in front and they would use information passed on from the large fighters behind them to find targets without illuminating themselves. This will reduce the risk to the larger more expensive fighters while the smaller lighter aircraft will be safer if they don't use their own radars and fire their missiles based on targeting data from larger fighters further back. In such a role wing tip jamming pods and towed decoys plus lots and lots of AAMs would be the order of the day. 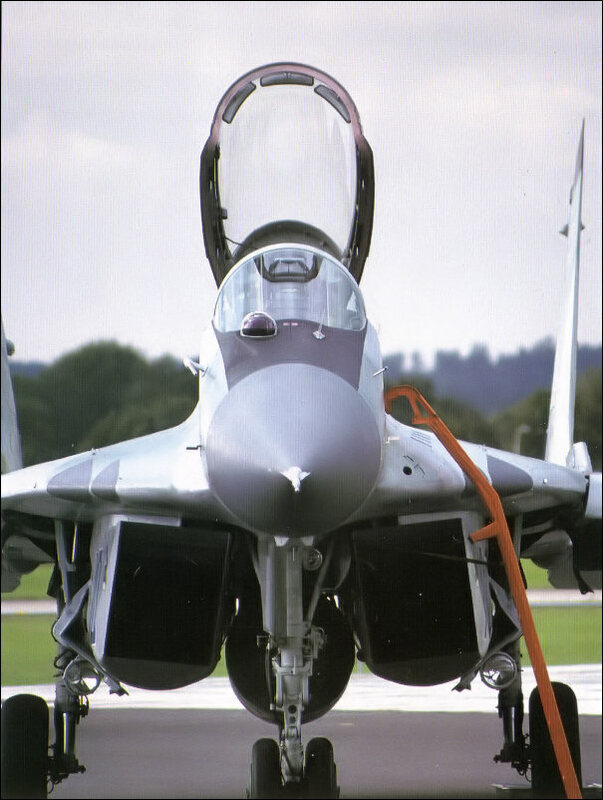 Think of an Su-30M using its superior radar performance looking for targets while Mig-29s operate closer to the enemy with their radars displaying target data from the Su-30Ms but with the Migs radar off, but also searching with IRST for targets. When an Su-30M detects an incoming threat it plots its course but instead of firing a missile it selects the closest Mig-29 and that Mig fires a missile and then changes position as fast as it can... the Su-30M can monitor the engagement and nominate other Migs to engage other targets. From the enemies perspective they can operate in radar silence in which case they will detect the Su-30M but find missiles arriving rapidly and with plenty of energy. If the attacking force has AWACs support then the Su-30M will devise an attack on that. 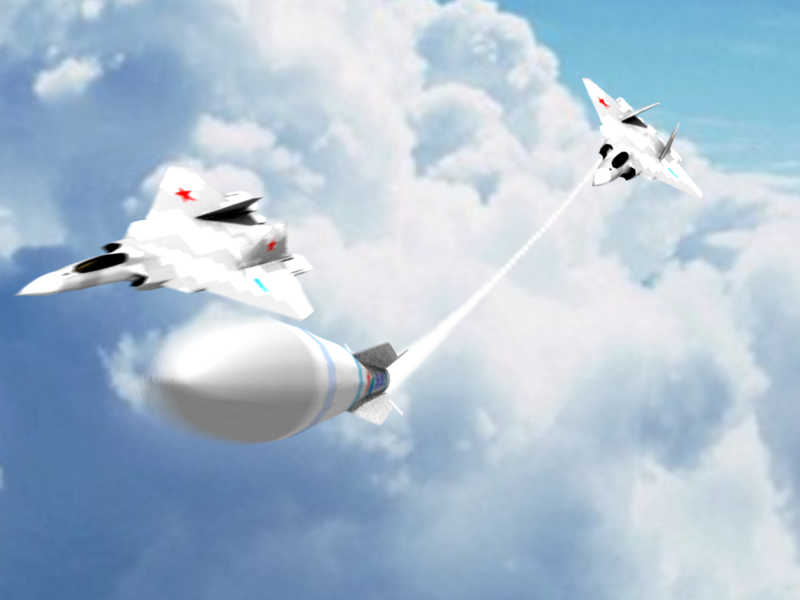 This tactic maximises the use of the more capable larger Su-30Ms radar for the benefit of the Mig-29s and increases the chances of getting kills without risking the most valuable and expensive aircraft while giving the smaller cheaper aircraft their best chance of survival by allowing them to operate without emitting energy and betraying their presence. area increase are inevitable . Sorry, I wasn't clear... I am not talking about an internal bay. Note in the photo above near the front of where the missiles are on either side of the front wheel the fuselage bulges to the shape of the pointed nose of the missiles (which are obviously not there at the moment). This means that from front on the upper half of the missile is not visible because it is up in against the fuselage, which means the airflow going under the aircraft has to go around only the lower half of the missile, whereas a normal pylon mounted missile would have twice as much drag with the air going all around it. From a RCS point of view it also greatly reduces RCS because with a missile mounted on a pylon some radar energy will bounce between the missile and the hull of the aircraft and return to the emitter... slightly increasing RCS. In these photos the top left photo you can see the pneumatic arm that forces the missile down and away from the aircraft at launch to ensure a clean separation is visible extended. The top right shows the belly missile position with the arm retracted. The second photo down from the left shows a front missile with the fuselage shaped so that the missile is half buried into the belly of the aircraft... this is conformal carriage. 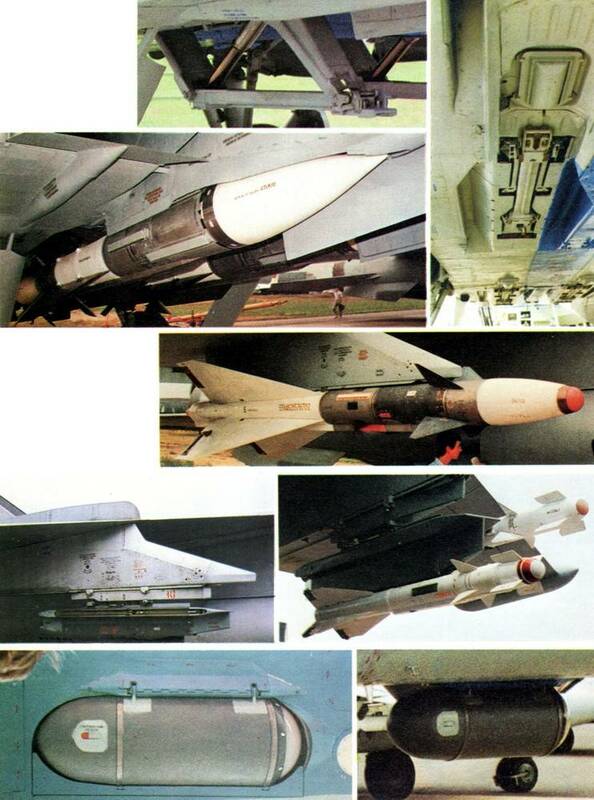 The other photos include the huge wing mounted R-40TD long range IR guided missile the Mig-31 can carry, and the tiny R-60M missiles it can carry to. There are also pictures of the IRST in its deployed and retracted position. The R-40TD is carried for use against the SR-71 for high speed head on intercepts, while the R-60Ms are intended for use against any cruise missiles enemy bombers might have launched before they were brought down with R-33s.